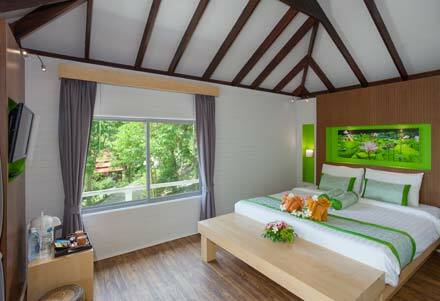 These cosy bungalows are located in the depths of our hotel in Laemthong Beach, in a lush jungle setting. 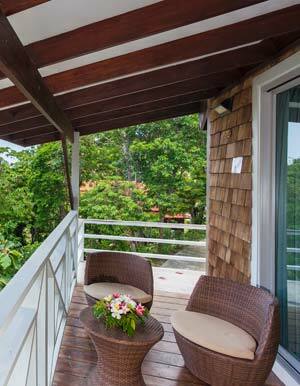 Raised on the hillside the bungalows sit amongst the treetops with partial sea views, the perfect place to get away from it all. These are ideal retreats for couples offering privacy, peace and tranquillity. Kick back on the furnished balcony and enjoy a range of modern amenities from well-stocked mini-bar to satellite TV channels.